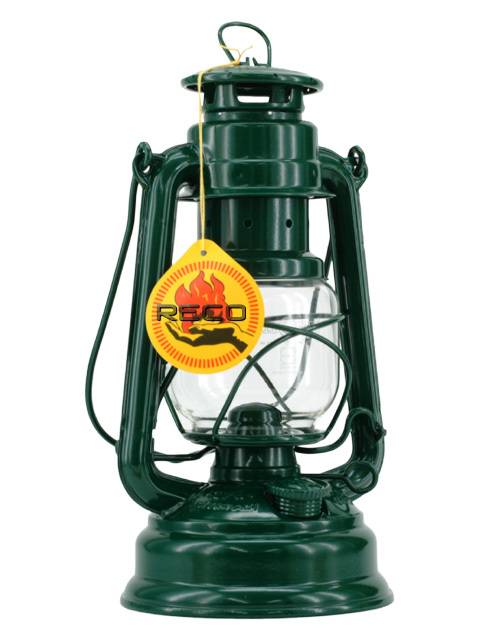 The original pattern Feuerhand hurricane lantern still made in Western Germany to the best quality. Not to be confused with the cheaper copies from China which leak and perform badly. Now supplied in a cardboard presentation box, ideal as a gift! Spare glass, wicks and burners usually available from stock. This lamp stands 10" tall. The original 1920's pattern 'Little Wizard' hurricane lantern made to the best quality with some original Dietz tooling. Guaranteed not to leak and approx 23 hour light on one fill. BEWARE OF IMITATIONS.. our lanterns carry the unique Dietz hologram sticker on the front. This lamp stands 12" tall. The Dietz #8 'Air Pilot' hurricane lantern made to the best quality and based around the 1950's 'Streamline D Lite'. Guaranteed not to leak and approx 27 hours light on one fill. Black painted finish with steel fittings and burner, supplied with Free reflector, as picture to the right, and mounting for a garden post. The big one....this lamp stands 13 1/2" tall, 7 3/4" diameter tank.